Rick has a wonderful WW1 program he does for historical societies and similar venues in which he includes this British music hall that had become extremely popular among the soldiers of that war, forever being associated with it. 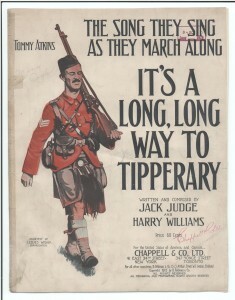 The song was, according to legend, written for a 5 shilling bet and performed the following night at the local music hall. It was written by Jack Judge on 30 January 1912 and Henry James “Harry” Williams also gets credit while he apparently did not contribute to the actual composition. “Remember, it’s the pen that’s bad, don’t lay the blame on me! 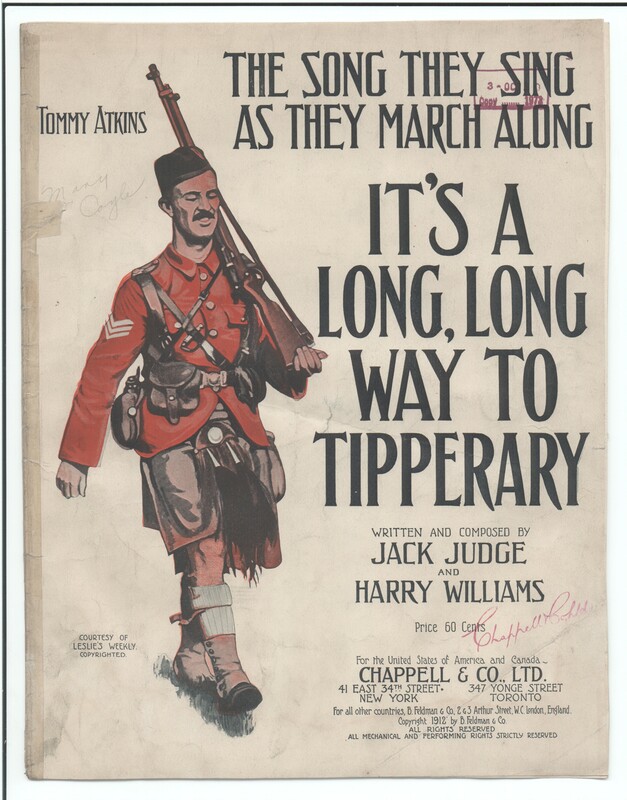 It’s a long, long way to Tipperary, but my heart’s right there! That’s the wrong way to kiss.